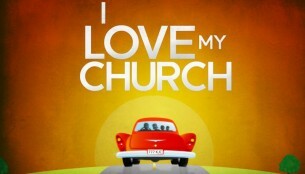 I ♥ We want to let you know how much we love our church. We want to let our co-workers, neighbors, friends and family know how important our church family is to our life. In the times we live in, the world needs to hear that there is still a thriving strong tower that each believer can run to for safety. The words ♥ needs to rise above all the negativity individuals and families navigate through on a daily basis. Our co-workers, neighbors, friends, and family need to know that our love for our church is a direct result of the love we receive from God through our church every day. What a great message to help bring hope to the hopeless, strength to the weary, and joy to those that mourn.